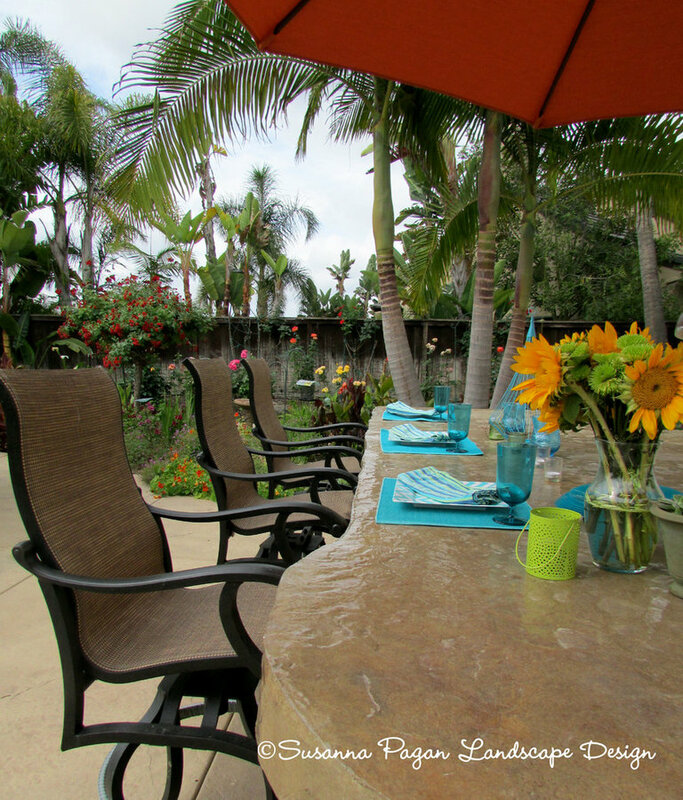 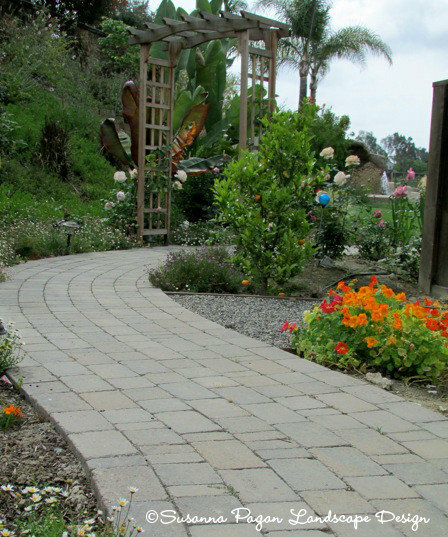 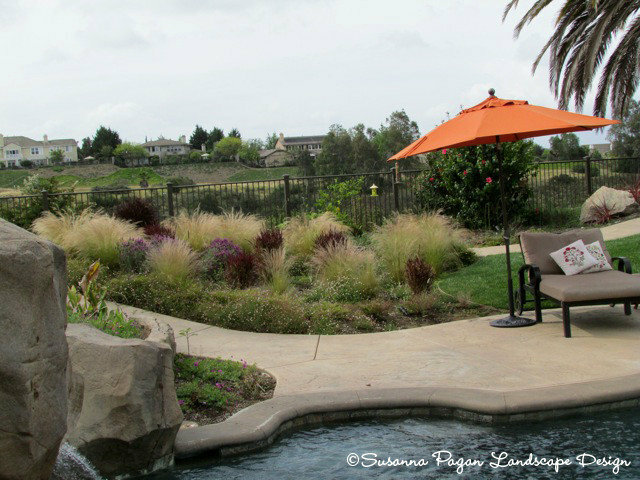 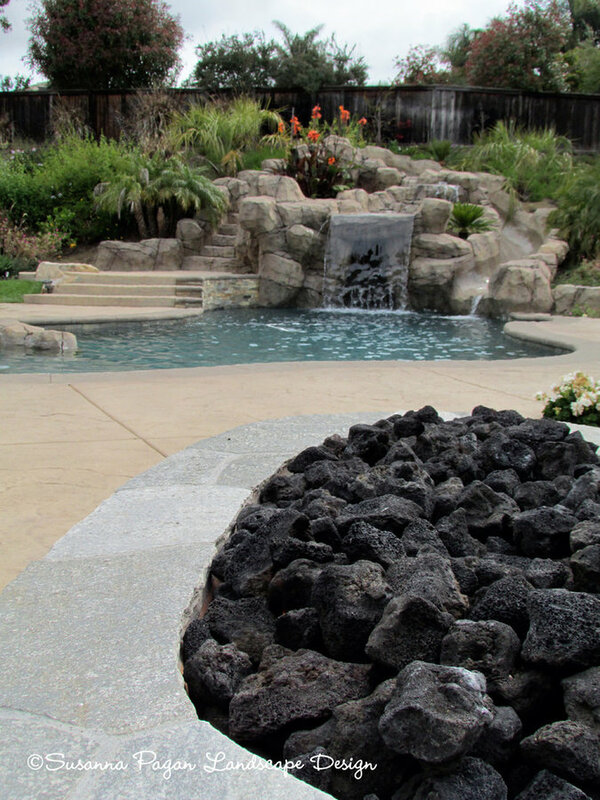 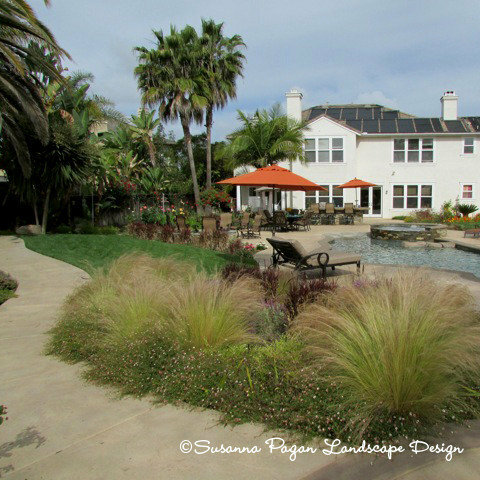 Photo Credit: ©Susanna Pagan Landscape Design - view from back of property of redesigned garden with meadow, pool, spa, fire pit dining and BBQ areas. 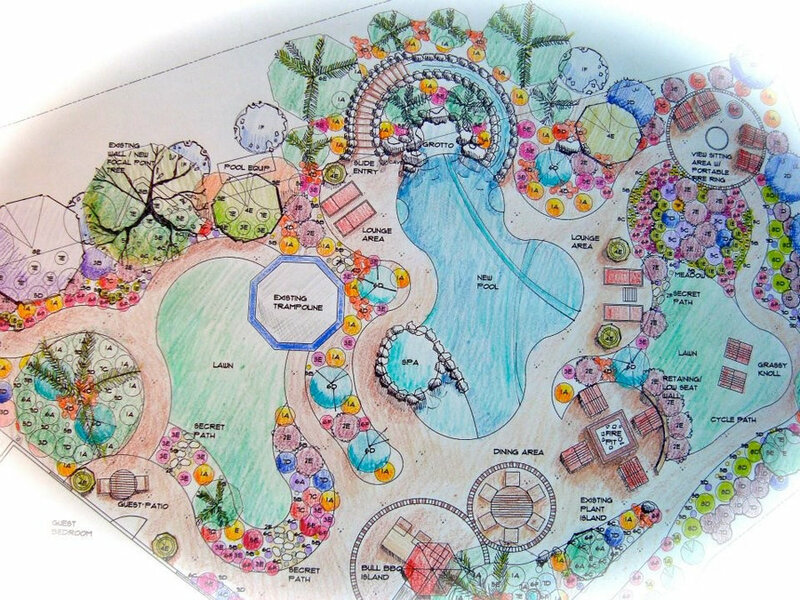 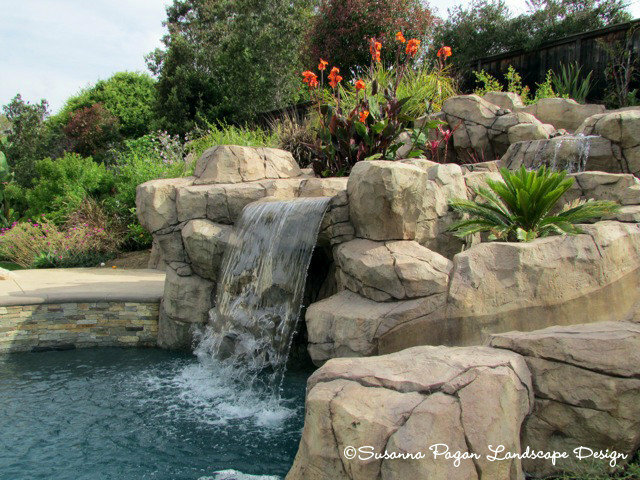 ©Susanna Pagan Landscape Design - view of the pool, spa, slide, grotto and hillside lush landscaping. 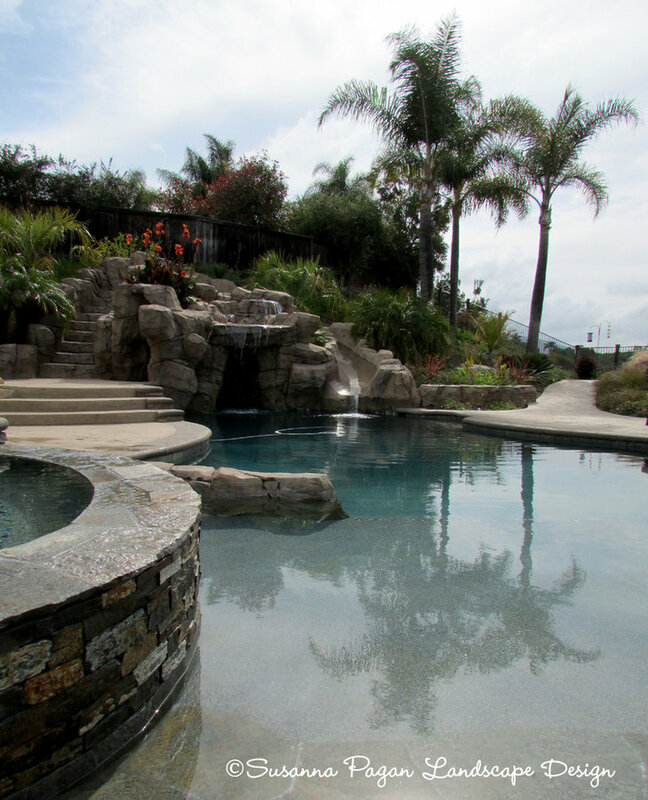 Pool has a beach entry. 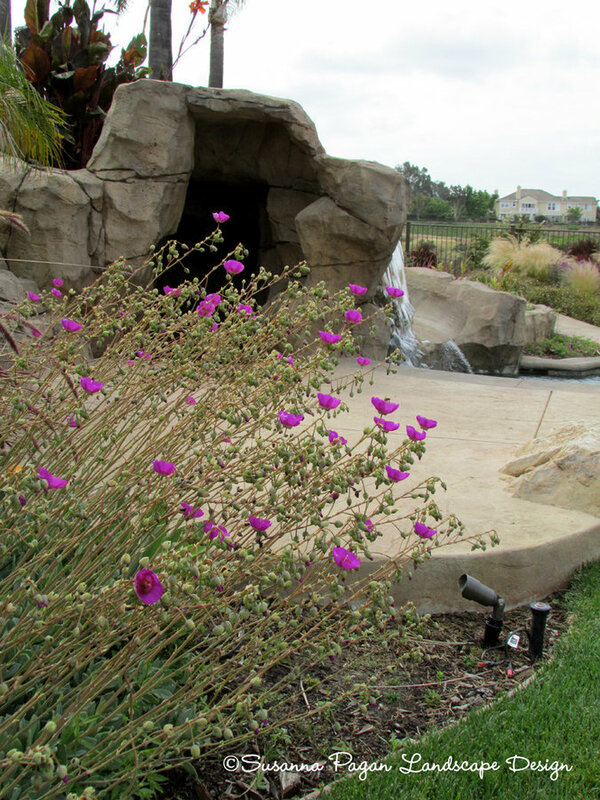 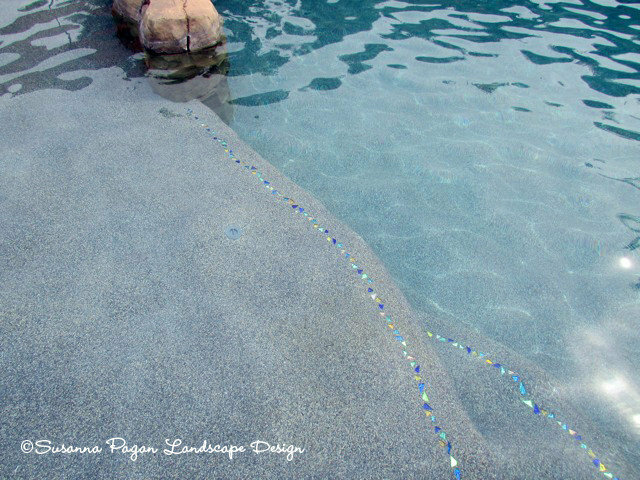 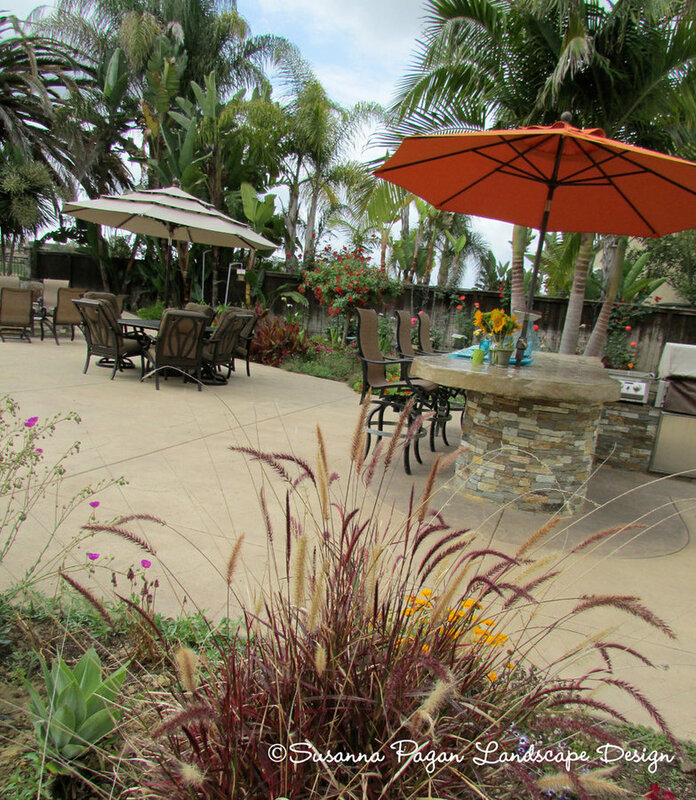 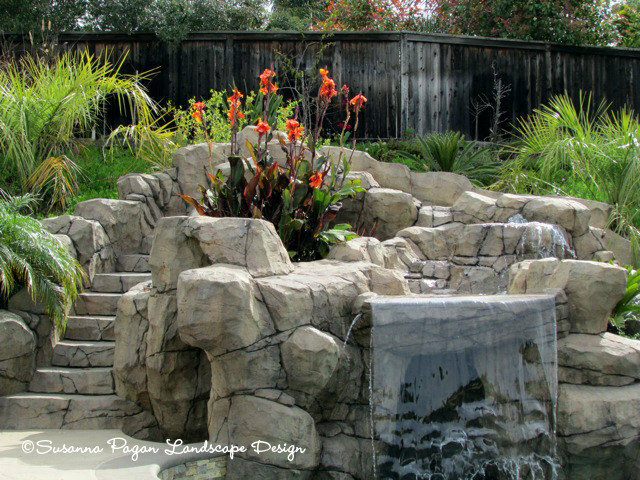 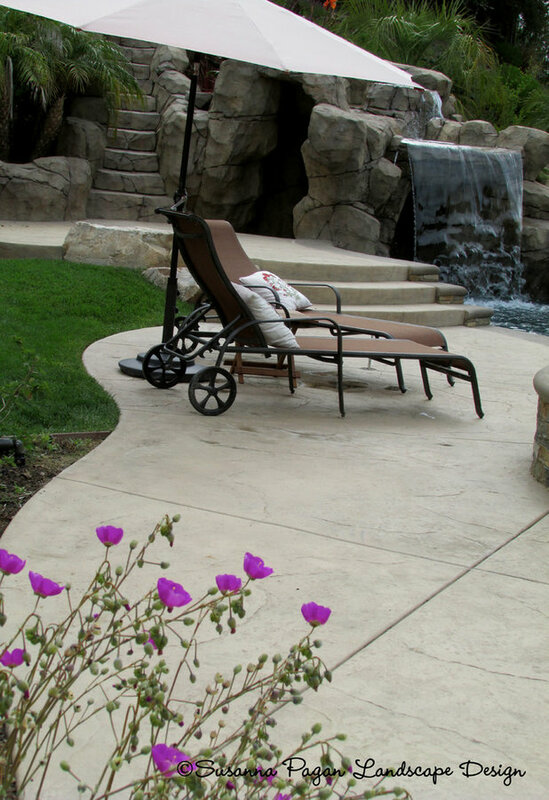 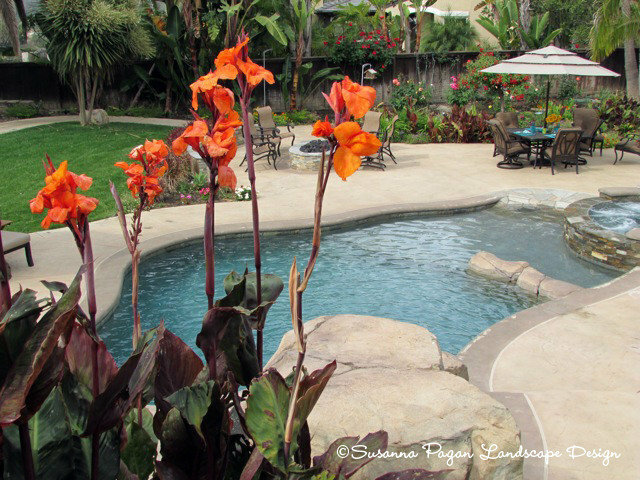 ©Susanna Pagan Landscape Design - Beautiful view of the beach pool entry and detail put into the pool, by Dream Pools.